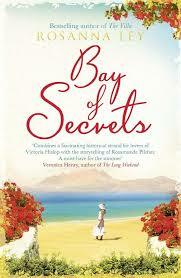 Review: The Bay of Secrets by Rosanna Ley. Following the wishes of her parents to keep her safe during the war, a young girl, Julia, enters a convent in Barcelona. Looking for a way to maintain her links to the outside world, she volunteers to help in a maternity clinic. But worrying adoption practices in the clinic force Sister Julia to decide how far she will go to help those placed in her care. Six months after her parents’ shocking death, 34-year-old journalist and jazz enthusiast Ruby Rae has finally found the strength to pack away their possessions and sell the family home. But as she does so, she unearths a devastating secret her parents, Vivien and Tom, had kept from her all her life. This novel is a perfect summer holiday read. It sweeps you up in a voyage of discovery with the 2 stories and I wondered how on earth they were connected. I loved the historical aspects of the novel this must of taken a LOT of work for the author to get right and of course a lot of research. Leys writing is so descriptive and I just let the story unravel, do not let the 500 odd pages put you off its defiantly worth the time to read this beautiful novel. You will be defiantly enriched. You also need to take the time to appreciate the stunning cover. Its one of those covers you can keep staring at.